Read 2 times. Last read September 30, 2015 to October 8, 2015. Even better the second time around. I can't deal with this. Okay, so I have some theories about After You - I'll put them in spoilertags just in case someone comes across this review and haven't read "Me Before You" yet. 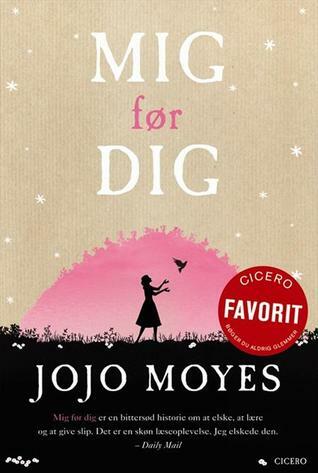 Sign into Goodreads to see if any of your friends have read Mig før dig. 45.89% "Kapitel 12 = yndlings <3"
94.98% "Nu har jeg ikke lyst til at læse mere! :("
I thought she would be cute with him too! I didn't think about Richie though. I don't mind as long as Lou is happy and she ends up with a nice person. Amy wrote: "I thought she would be cute with him too! I didn't think about Richie though. I don't mind as long as Lou is happy and she ends up with a nice person."